Are you looking for a Mobile Vet? Look no further than Middle Brighton Veterinary Centre. 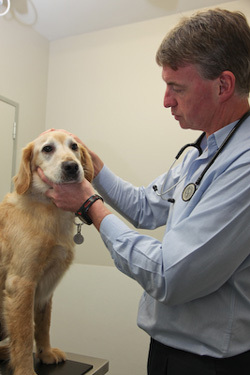 If it’s difficult for you to bring your pet to your nearest vet clinic, then we can come to you. Your pet will be relaxed by its familiar surroundings – and so will you! Our expert vets and a dedicated vet nurses are able to give thorough veterinary examinations, including vaccinations, health checks, behaviour management, and when necessary, respectful euthanasia in the comfort of your own home. Call us today to find out more about our House Calls service.